Big Data & Data Science Blog: Open Data and Business - a paradox? 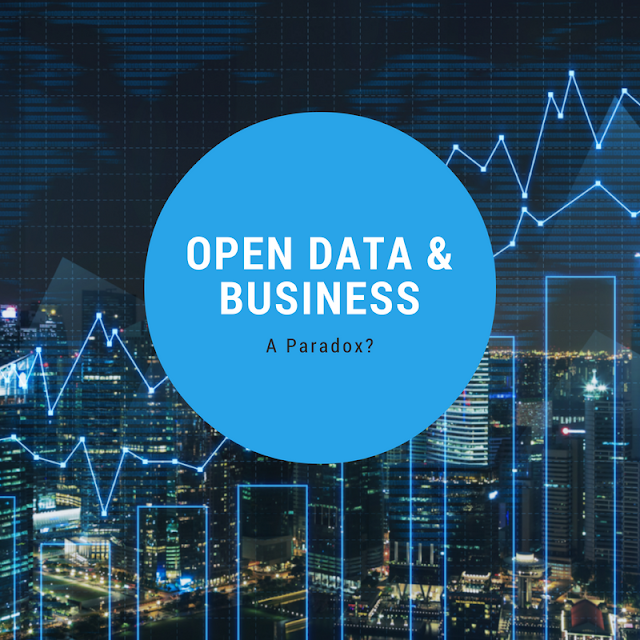 Open Data and Business - a paradox? While Open Data has a wide range of definitions, Wikipedia provides one of the most commonly accepted: "Open Data is the idea that some data should be freely available to everyone to use and republish as they wish, without restrictions from copyright, patents or other mechanisms of control." From our perspective, the most important word in this definition is "freely". And we pose the question: does this mean that Open Data and Business are incompatible? The short answer: absolutely not. Figure 1: Can Open Data and Business work together? McKinsey stated in a 2013 report that Open Data (public information and shared data from private sources) can help to create $3 trillion a year of value in seven areas of the global economy. The opportunities that arise when data is opened up to the masses are clear. However, the longer answer is that anyone who has tried to get some Open Data and perform an analysis knows that this is not trivial. Open Data varies much in terms of quality, formats, frequency of updates, support, etc. Moreover, it is very hard to find the right Open Data you are looking for. Today, most business and value from Open Data is generated through ad hoc consultancy projects that search, find and incorporate Open Data to solve a specific business problem. However, one of the visions of Open Data is to create a thriving ecosystem of, on the one hand, Open Data publishers, and on the other hand, users, developers, startups and businesses that process, combine and analyze this Open Data to create value (e.g. to solve specific problems, or to discover important and actionable insights). OpenCorporates. A large open database of companies in the world. Transport API. A digital platform for transport collecting all kinds of transport data, especially in the UK. Quandl. A financial and economic data portal. Those companies and organizations focus on aggregating Open Data in a specific niche area, and their business model is built around access to curated quality data. Other types of companies then can use this Open Data to run a specific business. 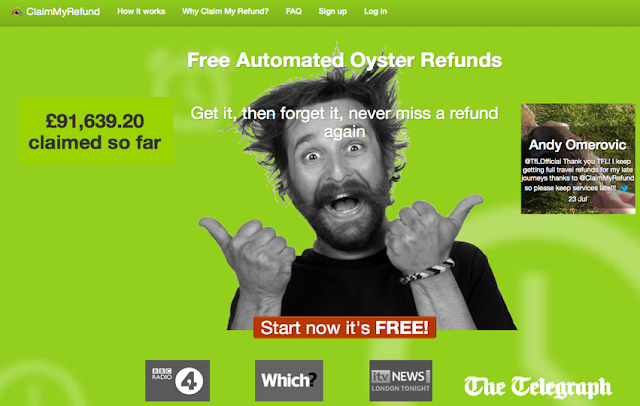 A typical example of such a business is Claim my Refund, which uses Transport Open Data (e.g. from a Transport API) to automatically claim refunds for their customers in case there are delays on their underground trips in London. Figure 2: Claim my Refund, a startup based on Open Data. Socrata and Junar are cloud platforms that allow government organizations to put their data online. Localidata focuses on Location Data, especially in Spain. FiWare is an independent, open community to build an open sustainable ecosystem around public, royalty-free and implementation-driven software platform standards. Once the data is published as Open Data, developers and other companies can then access that data and build value added applications. In the governmental space it is not uncommon for Public Administration to pay for having its data published as Open Data, and then to pay again for an innovative application that uses this Open Data to provide value to citizens (e.g. with information about schools). In conclusion, there is definitely a business model for Open Data. In the short term around specific niche areas such as transport, or through ad hoc consultancy projects. In the mid term, business will evolve around ecosystems around Open Data both coming from the public and the private sector. However, the current state of play is relatively immature. The bottom line is that public Open Data still lacks quality and private Open Data is barely available. Video: British Airways uses Open Data for an advertising campaign. On a huge screen in Piccadilly Circus in London, a boy stands up and points to a passing planes only if it is a BA flight and it can be seen (i.e. there are no clouds). This advert is based on bringing together three data sources, which are all publicly available: GPS data, plane tracking data and weather data. This work illustrates the power of Open Data when combined with creativity. Here at LUCA, we're fascinated by Open Data so watch this space to see more posts and content on the power of opening up data to bring new value to society.